ETHNO WORLD 6 Complete is the summit of a library that has continuously grown and been improved over a period of 16 years. In this sixth edition, 80 new instruments and voices with a volume of 13 gigabytes have been added to the library. Awarded film-composer Marcel Barsotti (e. g. Pope Joan, The Miracle of Bern) has gathered a gigantic selection of instruments from all over the word and has additionally recorded a wide choice of solo-voices and choirs from widely varying cultures. ETHNO WORLD 6 Complete now consists of 320 instruments and voices being summarized in approx. 800 patches. For the most authentic sound, the instruments have been recorded with different play techniques that can be easily and precisely accessed from the patches by key-switches. The library consists of 33.4 gigabytes (uncompressed) of sample data and 28,789 samples. All instruments are delivered in a resolution of 24 bit and 44.1 kHz. For the recordings that have been carried out under the direction of producer Andreas Hofner, over 70 musicians and singers from all over the world were involved. Recordings took place in different local studios with the use of first-class gear such as microphones by Neumann and Brauner, SPL preamplifiers and converters by RME. ETHNO WORLD 6 Complete comprises an incredible spectrum of instruments and voices from the most diverse regions of Asia, Africa, Europe, North- and South-America. Here, you will find the fitting instruments and voice-recordings for folkloric, ethnic as well as for modern music. Beside the film-score-proven taikos and big ethnic tom drums, there are hundreds of inspiring loops and even a complete category which is dedicated to “Gongs, Bells & Metal Type Instruments, ranging from the large big feng gong to delicately sparkling wind chimes. New in ETHNO WORLD 6 Complete are some unique sounds such as the two meter spanning gong by Paiste, several new percussion-instruments and a waterphone. Almost all sections of the predecessor have been expanded once again. In addition, a couple of instruments of ETHNO WORLD 5 have been re-recorded, among then a new mandolin and a great sounding banjo programmed with countless articulations and licks, being played by one of Germanys best banjo-players, Rüdiger Helbig. Furthermore, you will now find a concertina, an autoharp, a Japanese koto, the aforementioned new mandolin with multiple play styles, a South-American charango, a bansuri, bass quena and an Indian flute plus additional play styles for the instruments launeddas, mancosedda, dvojacka and the Irish traverse flute. 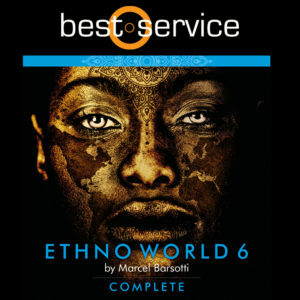 ETHNO WORLD 6 Complete offers extensive solo-voices, phrases and choirs from Cameroon, Guinea, China, Iran, Turkey, Bulgaria, Northern Africa, Spain and Ukraine. The voices and choirs have been expanded by new contributions from Africa, Arabia, Jamaica and India. For example, the Houari Algerian rai singer is not only perfectly predestined to create an authentic atmosphere but equally suited to be used in EDM and Hip-Hop. Equally extraordinary are the Mongolian overtone singings, the voices of the Chinese opera, Arabian, Indian and African choirs and solo-voices as well as the chants of American natives. Thus, there is a versatile choice of voices being usable in the wide range of film-scoring, for ethnic- or traditional music but also suited for modern music productions. 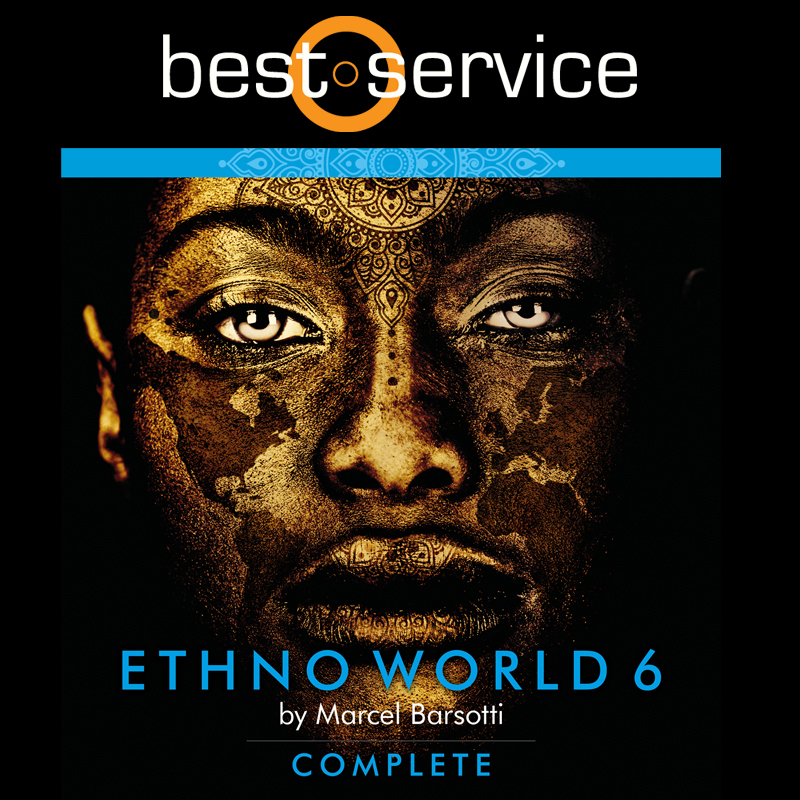 With its choice of instruments and voices, ETHNO WORLD 6 Complete is the perfect library for film- and television productions that demand authentic sounds from specifiy regions of the world. Naturally, the instruments and voices also lend themselves to be used in music productions of diverse genres that embrace these specific sonic elements – from pop to ambient to dance. ETHNO WORLD 6 Complete contains all sounds of the previous versions, being sorted in the categories “Bowed Instruments, “Stringed Instruments, “Woodwind & Brass, “Key Instruments, “World Drums, “World Percussion and “Gongs, Bells & Metals and “Voices. In addition, a good number of special instruments have been newly recorded for version 6. Among these is the new “Gamelan category containing two different gamelan orchestras from Bali and Java, available in slendro, pelog and international tunings, being recorded in Munich’s Stadtmuseum. Here, you will find more than 25 instruments such as kempli, kendhang drums, cheng cheng, bells, kecer cymbals, kethuk and kempiang. These instruments are complemented by a harmonically ideal matching Balinese female singer, the typical suling flute and the siter harp. 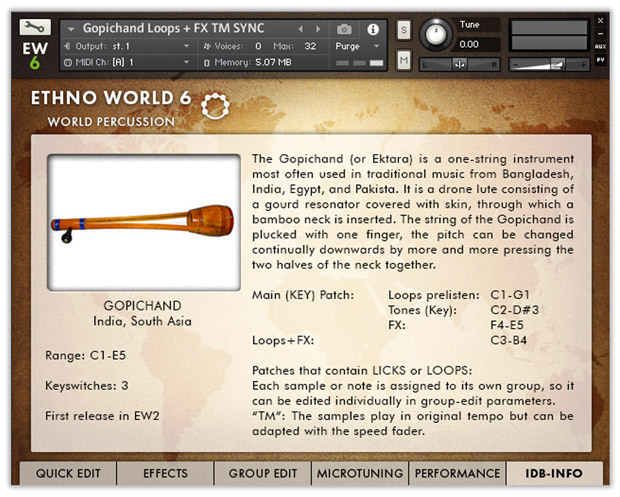 ETHNO WORLD 6 Complete therefore offers the largest orchestral setup of gamelan instruments from Indonesia. ETHNO WORLD 6 Complete also unlocks an entire new region by offering a complete ensemble of alpine folk music including plucking instruments, brass as well as male and female yodelers. Find instruments like the Styrian harmonica, a nylon stringed concert guitar, zither, raffele, dulcimer, alpenhorn, flugelhorn, trumpet, trombone, tuba, folk-violin and two clarinets. And of course, an acoustic bass is not missing. For historical contexts, such as historic drams and fantasy movies, ETHNO WORLD 6 Complete offers a large selection of medieval instruments, among them a hurdy gurdy, renaissance lute, fife, doucaine, shawm, pasalterium, pump organ and a shruti box. In short: all instruments needed for songs about fire and ice. 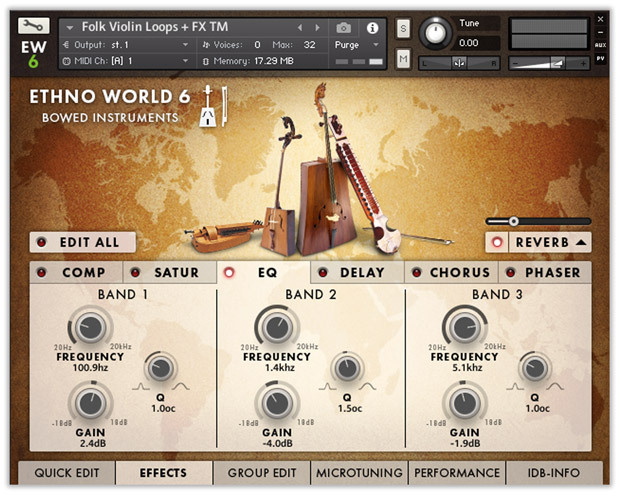 ETHNO WORLD 6 Complete uses the free Kontakt 5 Player by Native Instruments as its sample-engine and can of course be used with the full version of Kontakt 5, too. For the new version, the user-interface has been completely redesigned graphically and optimized for ultra fast access. There are numerous editing possibilities as well as innovative functions. ETHNO WORLD 6 Complete supports the Native Kontrol Standard (NKS), which allows tagging and interaction with the NI Komplete Kontrol keyboards and NI Maschine. Further additions are a new waveform display, visualization of the sample-start-offset as well as a clearer use of the effects where, among other features, delay times are now displayed in tempo-related note values and milliseconds. The Timemachine (TM PRO) delivers significantly improved audio results with tempo adapted material, especially for polyphonic licks and loops. And this is not only a benefit for the newly recorded sounds of ETHNO WORLD 6 Complete but also for all sounds of ETHNO WORLD 5 which have been completely reworked in this regard. At the same time, the number of patches has been reduced leading to a clearer menu structure. Thanks to the integrated convolution reverb, all instruments and voices sound exceptionally realistic and natural. Solo instruments additionally offer a high-quality legato mode. Plus, the humanize mode will lend each new note as slightly changed timbre. The micro-tuning allows the use of multiple ethnical tunings and scales. By using top-quality filters, LFOs, tune, automation, harmonizer and further effects, all instruments and voices can be efficiently edited and manipulated if needed, allowing to create new sonic worlds equally suited for modern music genres and film productions. 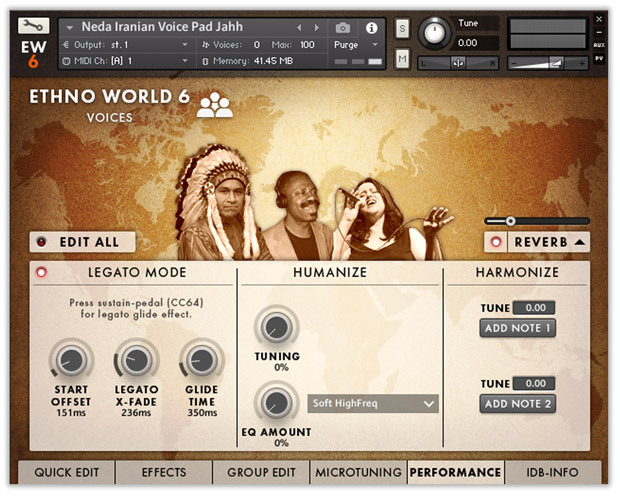 A unique feature of ETHNO WORLD 6 Complete is the integrated IDB-INFO (Information Database) being directly addressable from every instrument and voice. Via the menu entry “IDB-INFO”, you can access photos of the instruments as well as many details about their original play techniques and tunings, origin and variations. Also, you will find notes how play the corresponding instrument with realistic results using the key-switches. 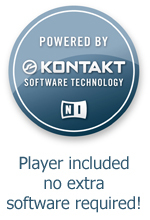 The minimum Kontakt Player version to use this library is specified in the product description.